This page gives you access to information and materials available from specific web sites and links you to other sources. Current Projects include an International Soccer Ball, School Ethics Program, Anti-Bully Campaign, Email and Posting Check-Up, "Mr. Apple Discovers..." Book. 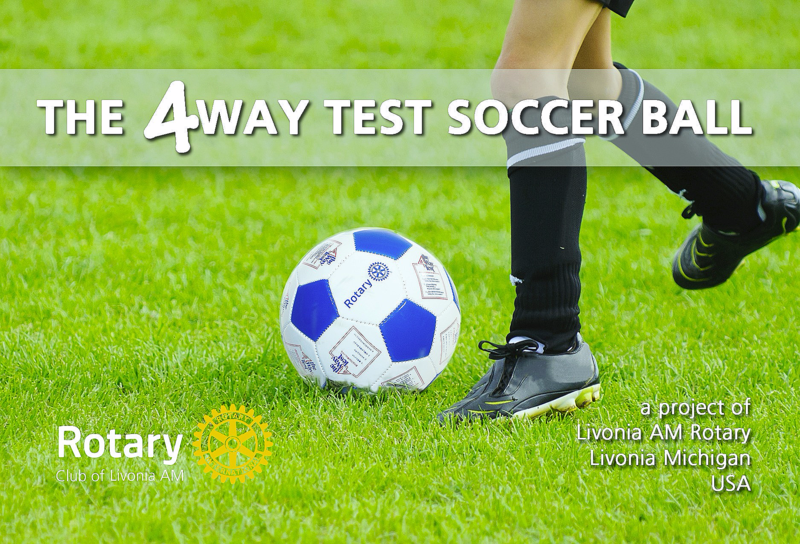 A project of the Livonia AM Rotary Club. Soccer balls with The 4Way Test in 16 languages. These soccer balls are for sale for $15 each plus shipping, handling and Michigan sales tax if applicable. These balls arrive deflated with their own hand pump and inflation needle. Balls can be shipped anywhere and pick-up with no shipping charge can be arranged. Discounts are available for larger orders. 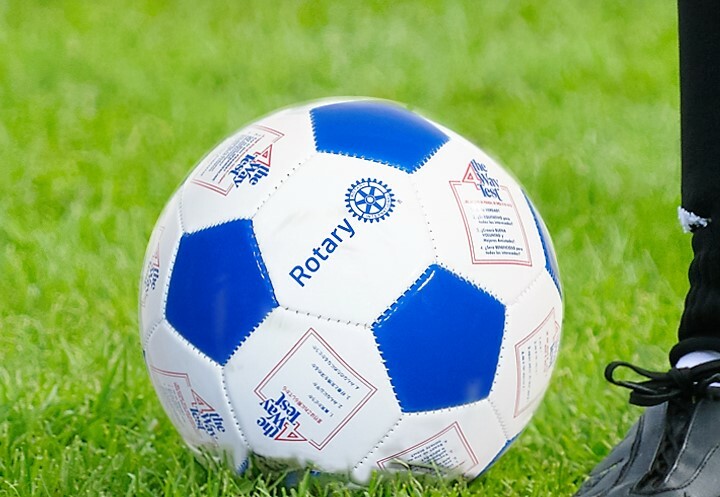 Each Rotary International President since 2011 has been presented with one of these soccer balls which before 2015 included only 10 languages, but in 2015 the languages were expanded to 16. On a trip, these soccer balls make terrific "leave behind gifts" for local children, especially in third world countries. Learn how to organize a school based 4Way Test Ethics Program that promotes active student involvement using a discussion format and small groups. This adult/student interactive activity was started in 1997 by two speech teachers in the Fort Collins, CO school district. The program is designed to appeal to kids from 6th grade through college age. It's use has spread across the USA and it is now in 30+ countries. Thousands of flash drives explaining and detailing tips and instructions for organizing this activity have been distributed. The flash drive costs $30. It includes all the information needed to start a program in your community at public and private schools. Below is a video of Rotarians, teachers and students talking about this project. 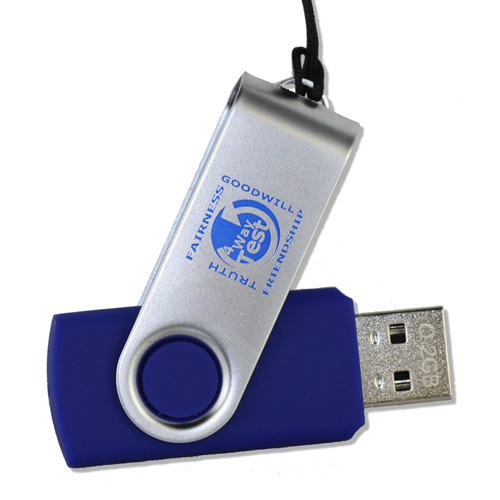 The free video and $30 flash drive are in English and are available through Russell-Hampton Co. (Russell-Hampton Co. does not profit from the distribution of this program.) You can click on the Order Now button to go directly to the Russell Hampton order site. Complementing this program, the club annually sponsors nine $2,000 college bound student scholarships for which selection is based on need, scholarship, community service and leadership. Each applicant is required to submit a paper in which they comment on the 4Way Test. Half of the award ($1000) is given at the beginning of the academic year. The second $1000 is awarded if, after the first semester, the student has earned at least a 3.0 grade point average. The 3.0 GPA is based on the system where a 4.0 GPA would be earned for straight A’s. Funds are deposited in a student account at the institution and may be used for tuition, fees, books, and necessary supplies or equipment. If a recipient withdraws from the institution or drops out of the degree or certificate program, unused funds must be returned to the Fort Collins Rotary Club. For more information on scholarships click here. Rudy Lawson is a Multisensory Education Consultant and Edutainer who helps students and their families "Say Yes To Positive choices." His programs help prepare youth to become positive citizens of tomorrow. The programs encourage within each child a sense of Dignity, Self Confidence, Resilience and Hope. Researchers note that bullying is actually a group phenomenon with the atmosphere of a particular school or culture influencing whether bystanders turn a blind eye or even tacitly approve the perpetrators' actions and escape from discipline. Click Picture to see and download full page "It Will Come Back to You" lyrics. Click here to play song chorus. 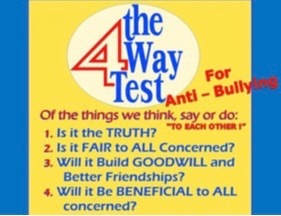 A critical force in the success of many programs is introducing and applying The 4Way Test. Recently the programs have been expanded to include all age groups, including seniors and senior communities. All seminars combine Auditory, Visual, Musical, Linguistic, Kinesthetic, and Thematic learning with lots of Movement and Participation. Mr. Rudy works in partnership with other organizations to spread his Anti Bullying message. See speakers list. our words are seen by many different people we might not even know and leaves a permanent trail right back to the sender. 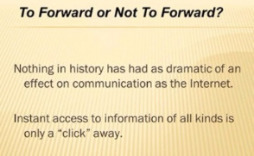 See a PDF presentation of a Powerpoint Slideshow when you click the link. 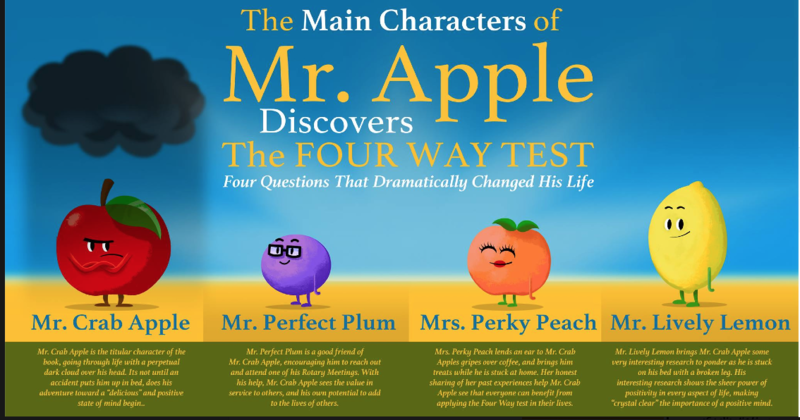 Mr. Apple Discovers The Four Way Test! When Mr. Apple attends the local Rotary Club, he is a bitter and isolated person. 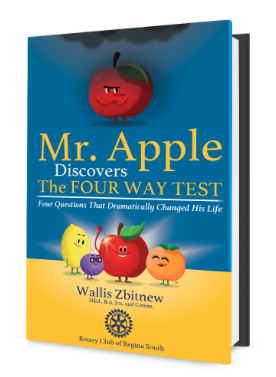 The 4Way Test, 4 short questions, questions that had never crossed the mind of Mr. Apple, lead him to a deeper consideration of his own life and those around him. Join Mr. Apple in welcoming others, and wisdom into his life. Meet Perfect Plum, Perky Peach and Lively Lemon. With his friends, his life is changed for the better. He triumphs over the negativity and obstacles that have been holding him back! This book is a fundraiser for Rotary International's "Polio Eradication" Project. A Kindle version is also available on Amazon. Published By Inner Truth Publishing Inc.